Healthy chocolate mousse smoothie | It's filled with good fats! Healthy chocolate mousse smoothie | It’s filled with good fats! 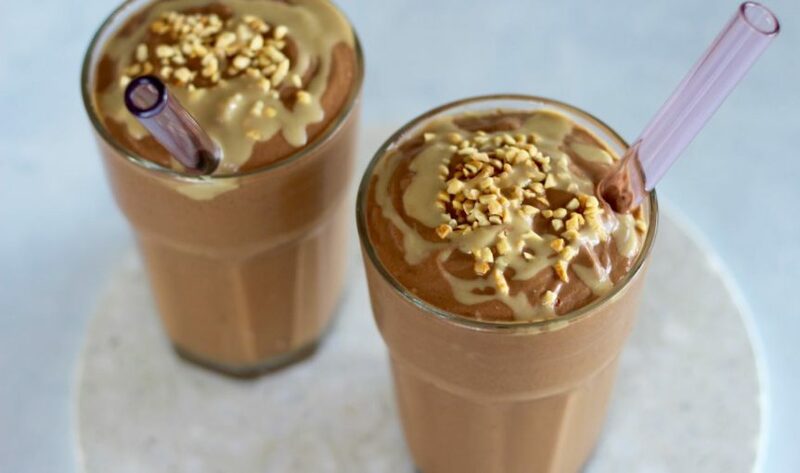 This healthy chocolate mousse smoothie is all kinds of delicious. Plus it’s good for you! Yes. We repeat this chocolate mousse smoothie is good for you! This recipe is brought to you by our favourites over at Supabarn. We love them because they are like a supermarket with a health food store inside! Haha. That makes sense, yeh?! If you follow us on Instagram you’d see smoothies are featured on our Insta stories almost (definitely) daily. We freaking love smoothies! They’re so bloody easy to make, you can hide all your supps in them, they fill you up, the yum factor is next level! We’ve been meaning to photo this epic recipe for so long. But usually we make them for brekky and we’re too hungry to wait for the perfect shot. So… we made these for lunch. Boom. Perfect shot! 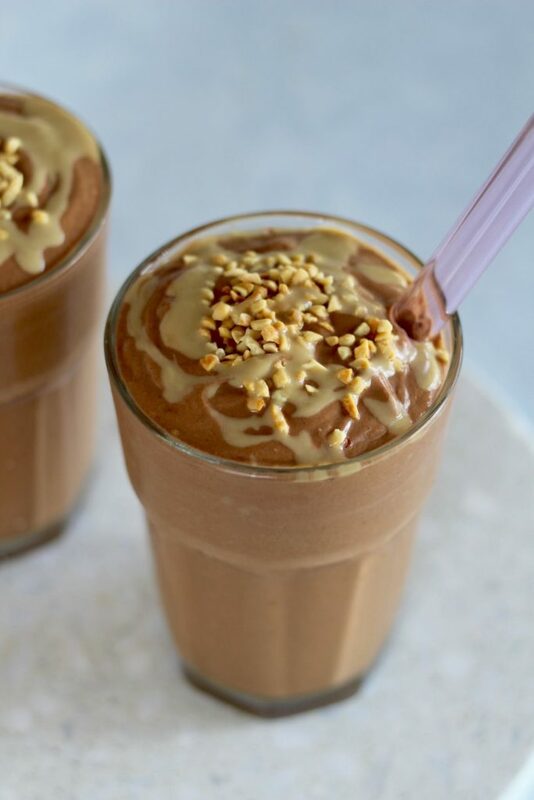 We highly recommend you whip this healthy chocolate mousse smoothie up for brekky, lunch or dinner! Then send us a pic on Instagram. Extra points if you send us a hilarious boomerang. Yay, entertain us! Haha. Oh and don’t worry if chocolate is not your fave smoothie flavour, checkout this berry smoothie bowl. P.s we added this recipe to the Get Merry app as well. If you’re after convenience, the app is for YOU! Top the delish smoothie with other delish stuff. Coz fun and yum! If you have any questions about the brands and businesses we work with let us know! We love working with aligned people we love, just like Supabarn!